I use many tools in my practice and one of my favorites is essential oils. The natural properties found in essential oils produce a soothing, uplifting effect on the mind and emotions which allow for natural stress and depression relief. 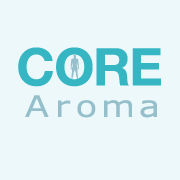 When you breathe or put on your skin, an oil containing the optimum level of therapeutic constituents, it fosters a sense of emotional balance and well-being. 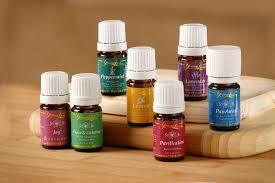 I use Young Living Essential Oils, which offers more than 300 essential oil singles and blends. Every essential oil Young Living distills or sources has the optimal naturally-occurring blend of constituents to maximize the desired effect. Valor® An empowering combination of oils designed to enhance an individual’s internal resources. Peace & Calming® Helps calm tensions and uplift the spirit. White Angelica™ A calming and soothing blend that encourages feelings of protection and security. Harmony™ Promotes physical and emotional well-being. Release™ Facilitates the ability to release anger and frustration. Clarity™ Promotes a clear mind and alertness. Gratitude™ Designed to elevate the spirit, calm emotions, and bring relief to the body. Trauma Life™ Formulated to help release buried emotional trauma. Joy™ Helps to ease heartache and inspires romance and togetherness. Stress Away™ Creates relaxation and reduces occasional nervous tension. PanAway® is soothing to the skin and adds comforting warmth to muscles after exercise. Relieve It™ is a deeply relaxing, warming blend for muscles and joints. Deep Relief Roll-On is specially formulated to relieve muscle soreness and tension. You can become a member of Young Living Essential Oils and order your own oils. For more information, click here.